This powerful memory kit is produced by the well-known manufacturer Corsair. 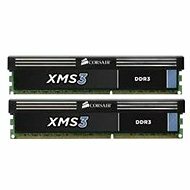 The kit includes a pair of 2GB DDR2 memory modules that are suitable for a Dual Channel connection. The kit is great for high-performance gaming computers or workstations that are equipped with a motherboard that has a dual channel memory controller. It can also be used successfully in home or office computers. These modules have been tested on a number of motherboards from all the leading manufacturers to ensure maximum performance and stability. 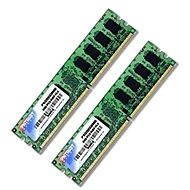 For shipping to other EU countries visit this page Corsair 4GB Kit DDR2 800MHz CL5. Für Versand nach Deutschland, besuchen Sie bitte Corsair 4 GB KIT DDR2 800 MHz CL5. Chcete doručit zboží do Česka? Prohlédněte si Corsair 4GB KIT DDR2 800MHz CL5. Chcete doručiť tovar na Slovensko? 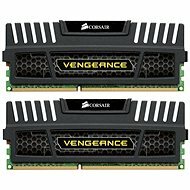 Prezrite si Corsair 4 GB KIT DDR2 800 MHz CL5. Für Versand nach Österreich, besuchen Sie bitte Corsair 4 GB KIT DDR2 800 MHz CL5. Magyarországra történő kiszállításért tekintse meg ezt a termékoldalt: Corsair 4GB KIT DDR2 800MHz CL5.